Belt is 1 1/2" wide. 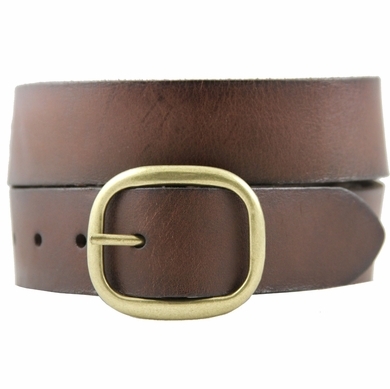 Comes with an 1 1/2" Solid Antique Brass Buckle. Perfect for looking stylish at casual occasions.